Looking to take a long weekend and experience some of the best trails that the U.S. has to offer? Instead of hitting up your usual spots, take the path less travelled and check out one of these awesome and underrated trails recommend by our friend Brian at Boot Bomb. Who knows, one of these just might become your new favorite! At about 29.5 miles, the Skyline-to-the-Sea Trail will take on average 2-3 days to complete. It’s possible to do it all in a single day day, but it will take a really great condition and perseverance in order to pull this off. This trail begins at the Saratoga Gap. Most hikers who come here actually start at Castle Rock, due to the fact that it provides ample parking space. It runs through Big Basin and follows Waddell Creek all the way to Waddell Beach. There are currently plans for a “Saratoga-to-the-Sea Trail”. It would connect with the Skyline Trail via the Bay Area Ridge Trail. 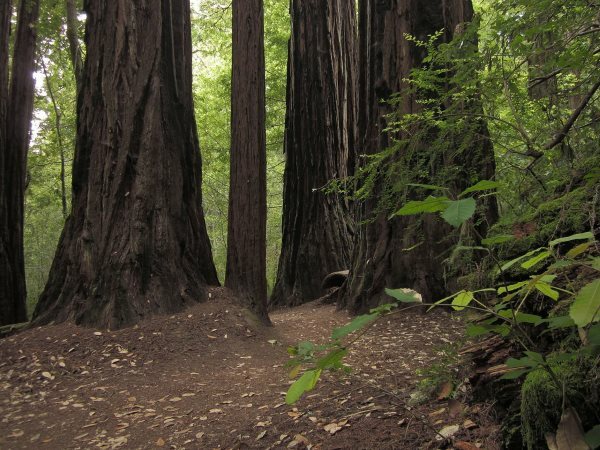 You’ll find many Redwood trees on this trail. There is also a fallen Redwood, which has been carved out and now acts as a little tunnel that runs across your trail. 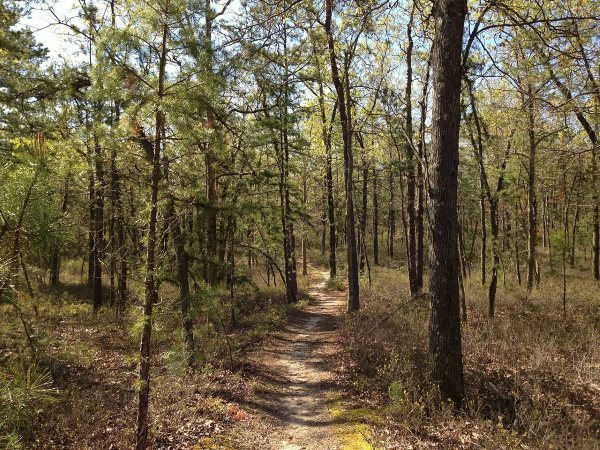 The Batona Trail is one of the longest trails that the state of New Jersey has to offer. It even runs right behind a portion of what is perhaps the most famous trail in existence: the Appalachian. The Batona Trail has plenty to offer. But one of the coolest thing about it, is that the trail starts at the Brendan T. Byrne State Forest, which lies close to a genuine ghost town known as Ong’s Hat. It was built in 1961 and has been going strong ever since. It will take you 3 days to complete. You will find many different types of pine trees along this trail. But not just pines, there is a wide variety of flora and fauna on the Batona Trail. Among the many things you’ll find on this trail are oaks, hardwood swamps, gray birch, swamp magnolia and black gum. There are also many edible berries to be found here. 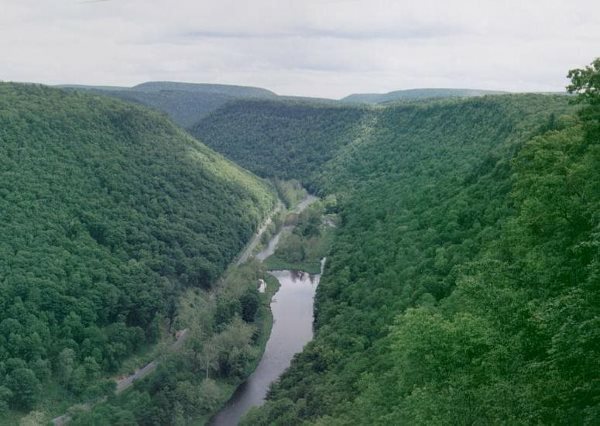 This Northern Pennsylvania West Rim Trail runs along Pine Creek Gorge, otherwise known as the Pennsylvania Grand Canyon. This canyon is 800 feet deep and 2000 feet wide, so you can be sure that it will give you a great view. As a matter of fact, the great vistas that the West Rim Trail has to offer, is precisely what it is well known for. The gorge is officially a natural landmark. And once you’ve laid eyes on it, you’ll understand why. The trail lies entirely in the Tioga State Forest. At 30.5 miles, most hikers are going to need a few days to complete it. 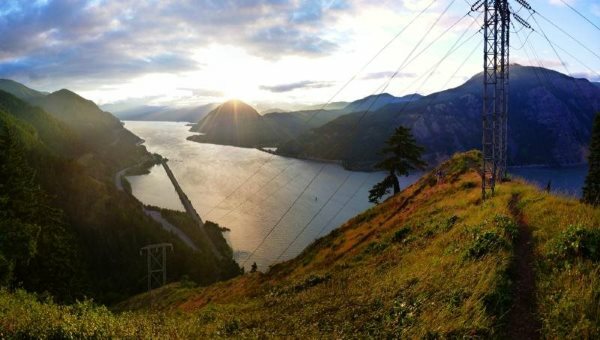 But with the many gorgeous gorge outlooks that this trail has to offer, your goal probably shouldn’t be to complete this trail as fast as possible. It’s highly recommended that you stop to enjoy the view. The Laurel Highlands Trail is part of Laurel Ridge State Park. Just like the West Rim, it lies in Pennsylvania. This trail will lead you through Cambria, Fayette, Somerset and Westmoreland counties. Its construction started in 1970, so it’s been around for a long time. At 70 miles, it will take the average hiker about a week to complete it. There is plenty to see along this trail and it also includes shelter areas, which charge a fee. The trail starts at Ohiopyle State Park. It runs past the Youghiogheny River. Only after a number of miles does the trail actually enter the park. Next to lots of flora and fauna, you’ll pass Seven Springs, Donegal Township, Lincoln Township, Jenner Township, Ligonier Township and many more. What’s fun about the Mark O. Hatfield Memorial Trail, is that it isn’t officially a trail. It is a trail that was proposed in 2010 on Tom Kloster’s WyEast blog. Despite the fact that parts of this trail have never been built, you can still hike a good 60 miles on this trail. You won’t see much old-growth on this trail, since much of this has been destroyed by logging and the Yacolt Burn of 1902. However, you will encounter several mountains, valleys and waterfalls, and much forested land. If you’re a big fan of volcanoes, then this is the trail to be. You’ll get a good view of Mount Rainier, Mount Hood, Mount St. Helens and Mount Adams. At the time of writing, proponents of this proposed trail are still bickerering over which locations it should run past. I’m sure, one day they’ll make up their minds. 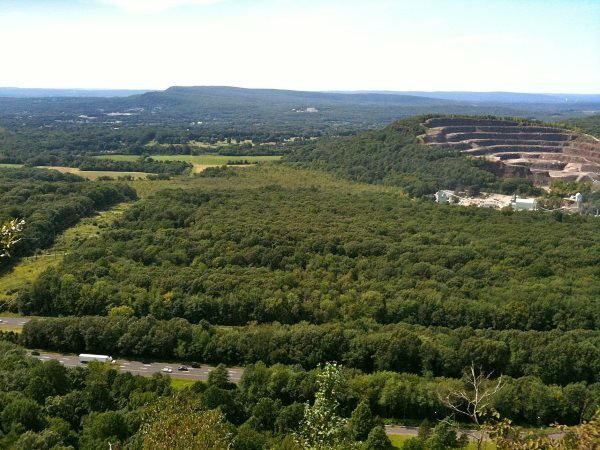 The Mattabesett Trail is well known for the fact that the first half of it runs past the Metacomet Ridge. This ridge has many miles of scenic cliffs and much biodiversity. It’s a great trail to go on if you want to see lots of variety in your views. But be sure that you are in good condition, because this trail is a pretty strenuous one. The second half of the trail will take you past so called metamorphic rock formations. These are rock formations have arisen as a result of the transformation of existing rock types. The trail ends at the Connecticut River. But before you’ll get there, you’ll have opportunities for rock climbing, bouldering, horseback riding, fishing, hunting and bird watching. This is one trail you are sure not to get bored on. 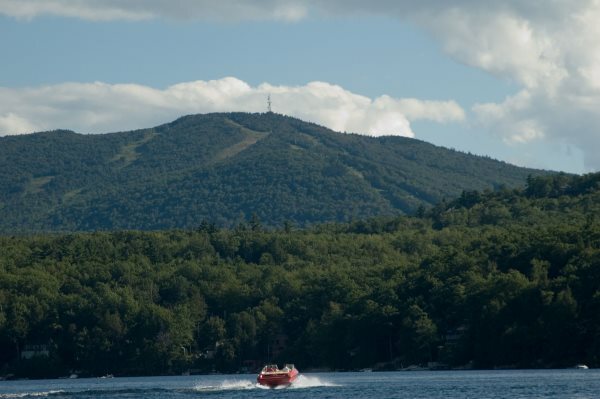 The Monadnock-Sunapee Greenway will take you on an adventure you never thought possible. Its scences are very rural in nature. Heavily glaciated, too. The metamorphic upland has many lakes, rocky monadnock summits, dense woodlands and heath barrens. 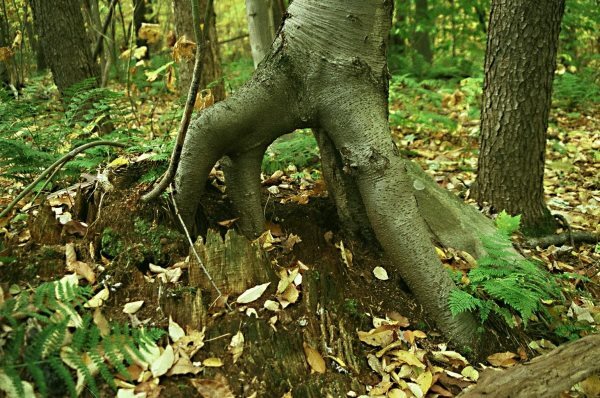 This trail is maintained by the Monadnock-Sunapee Greenway Trail Club, so that hikers all across the US can continue to enjoy the many different things that it has to offer. The trail’s 50 miles will let take you past Mount Monadnock, Mount Sunapee and Lovewell Mountain. In doing so, you’ll cross through a number of incorporated, New Hampshire communities, such as Stoddard, Harrisville, Nelson, Dublin, Goshen, Washington, Jaffrey and Newbury. Named after the famous poet Robert Frost, this trail will introduce you to the area where he lived and taught from 1916 to 1938. It will take you through the Connecticut River Valley, located in Massachussetts. It will take you from South Hadley to the Ruggles Pond, which is located in Wendell State Forest. You will encounter many beautiful scenes along this trail, including Mount Toby, Puffer’s Pond, Mount Orient and Holyoke Range. At 47 miles, it will take most hikers a few days to complete it. In doing so, you’ll see many different kinds of terrain. 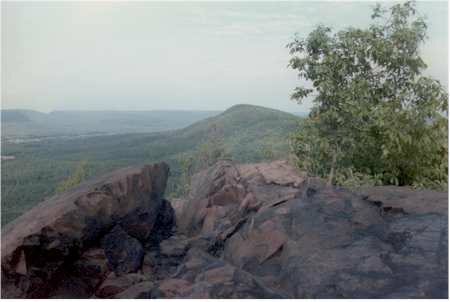 You’ll encounter trap rock and go over Metacomet Ridge. On this ridge, you’ll see dense forest, historic mill ponds, wooded ledges, ponds, farmland and deep ravines. This trail offers something for everyone. It’s easily as beautiful as its namesake’s poetry. If you’ve studied your American history, then you’ll probably have heard something about the Klondike goldrush of the late 19th century. The Chilkoot trail was a very important access route from the coast to the Yukon gold fields in these days. However, it became obsolete in 1899, when a railway was built for easier transportation. Before it was used by gold prospectors, it was used by the Tlingit Indians as a trade route. Due to its rich history, the trail attracts many tourists from abroad. It’s a very recreational trail. In order to maintain its quality, no more than 50 permit carrying hikers per day are allowed to start this trail. The money made from these permits is used to power full-time maintenance crews. The trail will take you along snowscapes, forestlands, base camps and a tramway boiler remnant. The Ghost Town Trail is a so called rail trail. This means it’s a trail that used to be a rail. But the rail fell out of use, so it was turned into a trail. Makes sense, right? Located in Western Pennsylvania, it is 36 miles in length. It was established in fairly recent history, 1991 to be exact. It’s officially designated as a National Recreational Trail. The trail will take you past a number of historical sites, such as Wehrum, Claghorn, the Buena Vista Furnace and the Eliza Furnace. Wehrum and Claghorn were towns that were built next to coal mines. When the mines ran empty, the towns were abandoned. In Wehrum, only one house is still standing. As well as some remains from a bank vault. 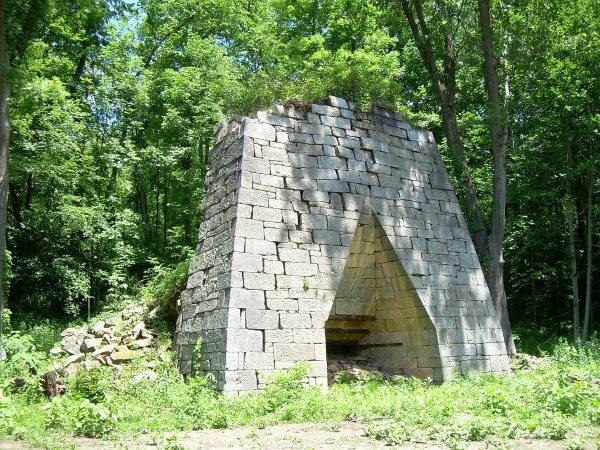 The historical furnaces were used to produce iron. 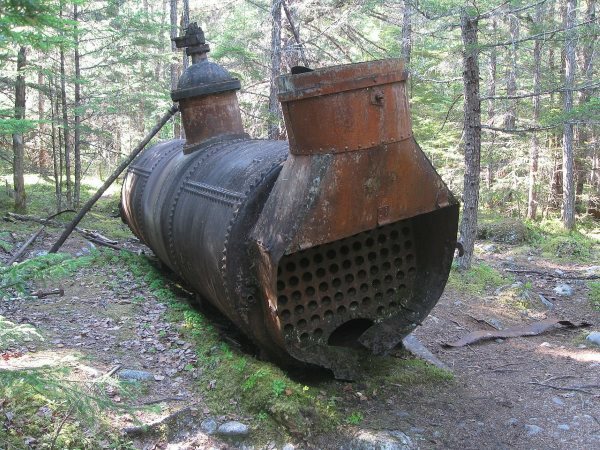 When the iron operations declined, the furnaces were abandoned as well. Did you enjoy these trail reviews? Come visit Brian Bradshaw @ Boot Bomb to read many more reviews of hiking trails, hiking boots, hiking gear, and much, much more!